The battle for al-Bukamal heated up last weekend as ISIS terrorists conducted a successful counter-attack against the Syrian Arab Army (SAA) and Hezbollah in the border city. 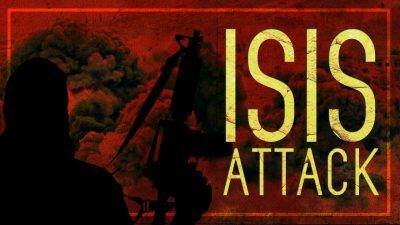 According to local sources, ISIS re-established control over a major part of the city on Sunday after two days of intense fighting in its vicinity and inside it. ISIS reportedly used at least 10 anti-tank guided missiles against pro-government combat units and had deployed additional reinforcements from other areas in Syria and Iraq. Hazem al-Barghash, a member of the ISIS Shura Council – a top body of the terrorist group, and three ISIS military commanders – Hani al-Thalgi, Abu Munzer al-Shishani and Abu Mohamad al-Safi – died in the city. Experts link the fierce ISIS resistance with the presence of more influential ISIS members in the area. The Hezbollah-linked media even reported that Abu Bakr al-Baghdadi was allegedly spotted in the area. Another issue, which led to problems faced by government troops in al-Bukamal, is a lack of the coordination between the assault groups advancing from the T2 pumping station and forces deployed near al-Mayadin city. The Tiger Forces and other pro-government units deployed near al-Mayadin de-facto started their push towards al-Bukamal only on Sunday when the situation became very complicated. Meanwhile, the Russian Defense Ministry denied reports that ISIS retook al-Bukamal and called these reports propaganda. The ministry said that the SAA has been in full control of the city since Friday and now are securing the area and destroying the remaining centers of resistance. However, no photos or videos confirming a full control over the city still exist. The city remains besieged but is still not under full control of the allies. Clashes also continued in northeastern Hama and in an area west of the Ithriyah-Khanasser highway where the SAA captured Hasnwi and Abu al-Ghurr from Hayat Tahrir al-Sham and entered the village of Rashadiyah. The situation remains tense. On Saturday, the Israeli media started disseminating reports that the US and Russia have reached an agreement, which would push Iranian-backed forces from an area close to the Israeli-occupied Golan Heights. The reports appeared on the same day when Russia and the US issued a joint statement on Syria after a brief conversation between Trump and Putin on the sideline of the APEC conference in Vietnam. The released statement does not refer directly to Iran, Iranian-backed forces or Hezbollah and indeed includes nothing new about the attitudes of the sides. The Israeli media reports are just another move in the ongoing media campaign against the Syrian-Iranian-Russian alliance after Tel Aviv failed to achieve the Russian support in limiting the Shia influence in Syria. Even if Moscow wants to make some trade-off with Israel, it has own limitations in this effort. The conflict is deeply integrated into the military and diplomatic standoff in the Middle East. The region is on the verge of the war, which may involve Israel, Saudi Arabia, Hezbollah and Iran. Last weekend, the BBC released a report claiming that Iran is establishing permanent military base inside Syria. It’s located outside El-Kiswah, 14 km south of Damascus. Israel has repeatedly claimed that it “will not let that happen.” However, the only Israeli option to fulfill this promise is a military action.